Pakistan's Punjab province government on Tuesday sacked its Information and Culture Minister Fayyazul Hassan Chohan over his anti-Hindu remarks that invited intense criticism from senior party leaders and the minority community. Prime Minister Imran Khan took serious notice of Chohan's 'anti-Hindu' remarks and directed Punjab Chief Minister Usman Buzdar to remove him forthwith, party sources said. "PTI Punjab government has removed Fayyaz Chohan from the post of Punjab Information Minister following derogatory remarks about the Hindu community," official twitter account of Pakistan Tehreek-e-Insaf tweeted. It further said: "Bashing someone's faith should not be a part of any narrative. Tolerance is the first & foremost pillar on which #Pakistan was built." A spokesman for Punjab chief minister said Chohan submitted his resignation to the chief minister which was immediately accepted. According to a senior government official, the chief minister had "forgiven" Chohan after he publicly apologised for his remarks, but the prime minister directed Buzdar to immediately remove him from the ministry. 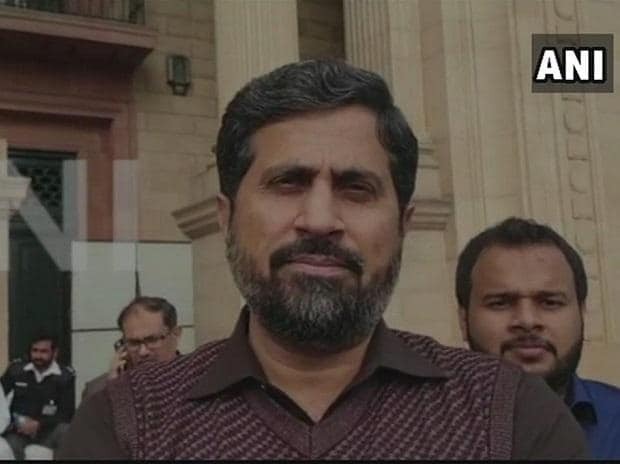 Chohan had come under severe criticism from senior members of his party, ministers and social media users with #SackFayazChohan trending on Twitter for his controversial remarks while addressing a gathering on February 24 in the aftermath of the Pulwama terror attack. Earlier in the day, Chohan apologised for his remarks following intense criticism. The Pakistan Tehreek-e-Insaf government "will not tolerate this nonsense", party leader Naeemul Haque, who is special assistant to Prime Minister on Political Affairs, said Monday night in response to Chohan's remarks. "The derogatory and insulting remarks against the Hindu community by Fayyaz Chohan the Punjab Info Minister demand strict action. PTI govt will not tolerate this nonsense from a senior member of the govt or from anyone. Action will be taken after consulting the Chief Minister," Haque tweeted. Haque's tweet was followed by condemnation from Shireen Mazari and Asad Umar, the federal ministers of human rights and finance, respectively. "Absolutely condemn this. No one has the right to attack anyone else's religion. Our Hindu citizens have given sacrifices for their country," Mazari tweeted. "Our PM's msg is always of tolerance & respect & we cannot condone any form of bigotry or spread of religious hatred," she added. Financer Minister Umar tweeted, "Hindus of Pakistan are as much a part of the fabric of the nation as I am. Remember the flag of Pakistan is not just green...its not complete without the white which represents the minorities." Foreign Office spokesperson Mohammad Faisal also took to Twitter and said, "Pakistan proudly owns the white in the flag as much as the green, values contributions of the Hindu community and honours them as our own."